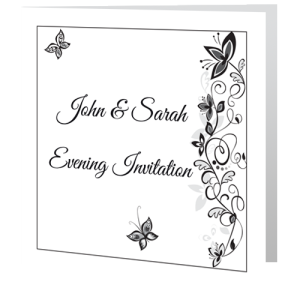 It is up to you as to which guests you invite to the whole wedding day and which guests you invite to the evening part of your reception. 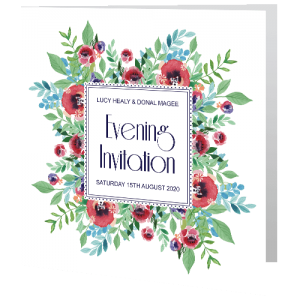 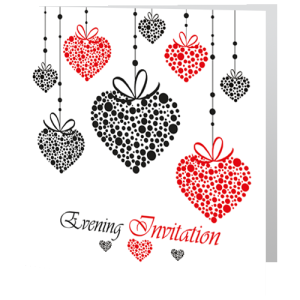 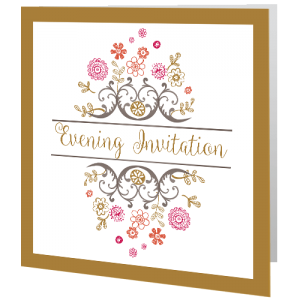 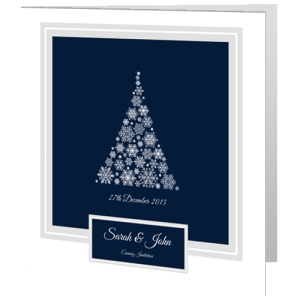 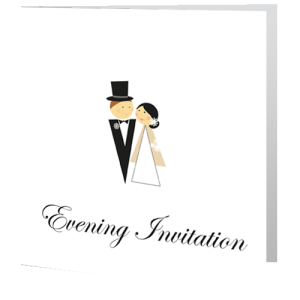 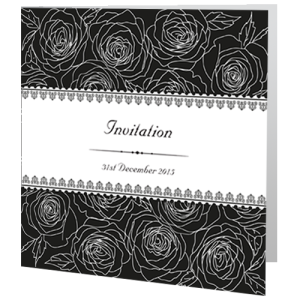 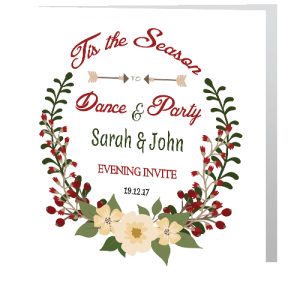 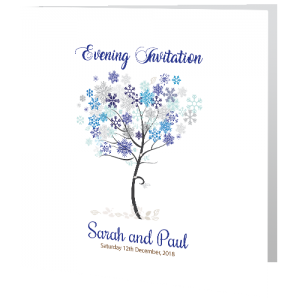 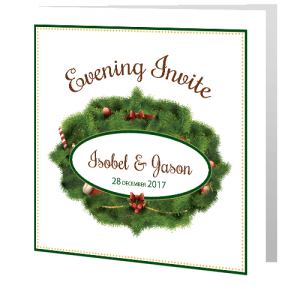 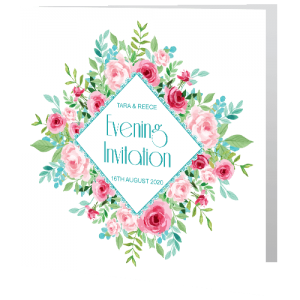 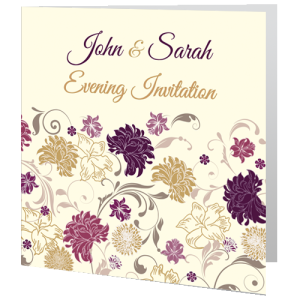 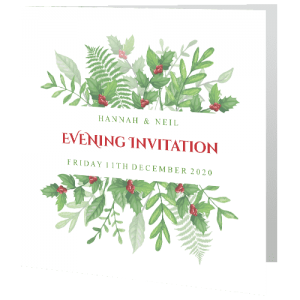 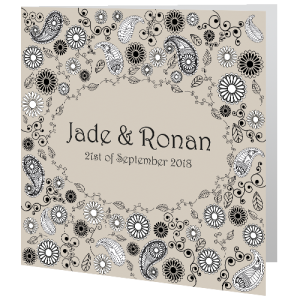 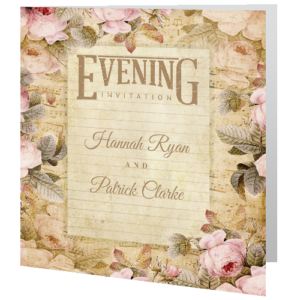 At weddingcardsdirect.ie we feel it is a good idea to send evening invites out at the same time as the day invites that way people won’t be left wondering if they were sent an invite. 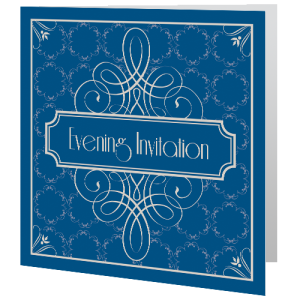 Evening invitations do not require an RSVP card. 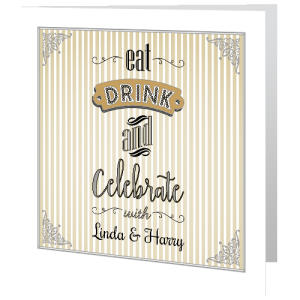 Always order separate wedding invitation cards for the day celebration and separate cards for your evening part of the wedding this way you are setting your guests expectations and ensures no one gets offended. We have matching afters invites to match the day invites cards ensuring your wedding theme is carried through to the evening. The timing for evening guests to arrive can be a bit of a tricky one to determine for evening invitation wording. 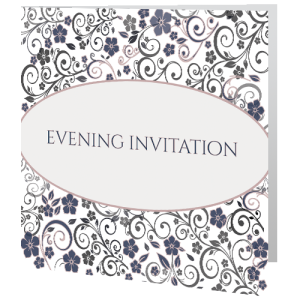 We recommend a time between 8pm and 9pm for inviting evening guests. 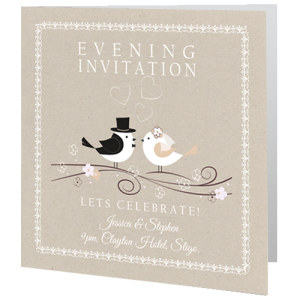 It’s a nice gesture to make your evening guests feel welcome by including them at the cake cutting or first dance section of the wedding. 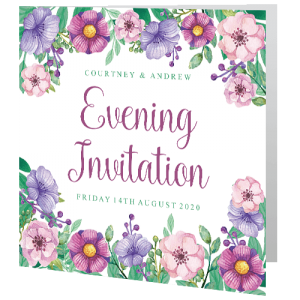 Also bear in mind that some evening guests might show up a bit later than your allocated time of 9pm so the buffet part of the wedding will have to be a bit later then a time of 9pm. 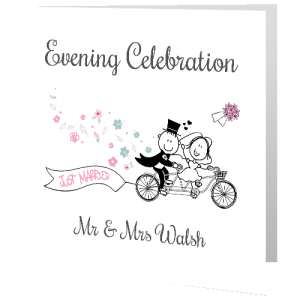 Wedding favours and cake for evening guests and if possible some bubbly are always a great way to include evening guests. 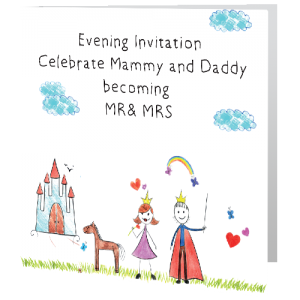 At weddingcardsdrect.ie we have a great selection of carefully thought out evening invites that match our wedding day cards. All our wedding stationery is cheap but not on quality, personalised online by you and delivered within a time frame of five days. 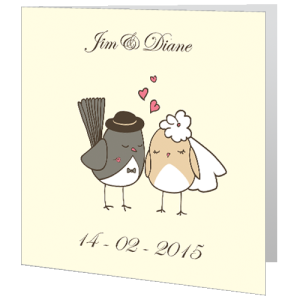 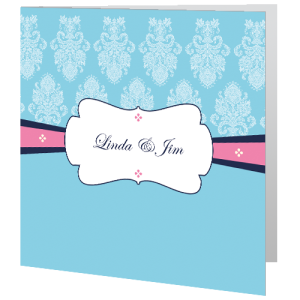 Our latest quirky evening wedding design, “Brand New, Mr & Mrs Smith” or how about our owls card design “Now Lets Celebrate” are sure to get your evening guests excited for your big celebration. Your evening invites can double up as song request slips ensuring your evening guests will really feel included in your celebrations. Again visit our website at weddingcardsdirect.ie to personalise your evening invite with your own words and style. 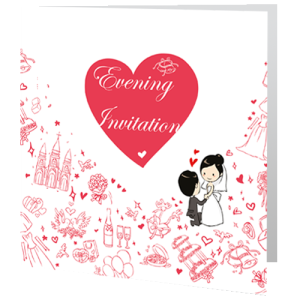 Check our wording samples for evening invites at weddingcardsdirect. The wedding invitation wording for wedding after invites depends on the style of wedding you are throwing, formal or informal. 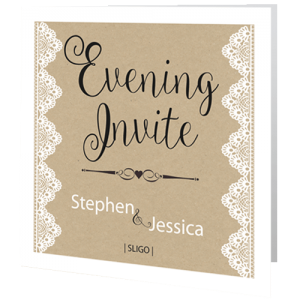 Make sure the wording on your evening invitation is clear so that your guests know it’s an invitation to the evening part of your reception. 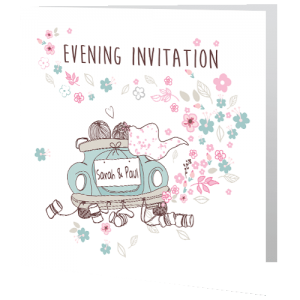 Most evening guests will expect some food so it’s a nice gesture to include this on the wedding afters invite wording. 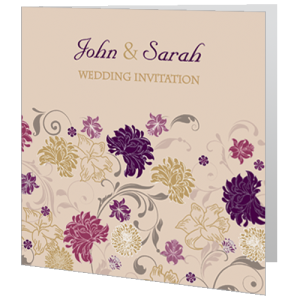 We have a good choice of wedding invitation wording and wedding-invite-evening wording at our website.